Do you watch movies in bed or read books? Do you wear glasses? Are you a mouth breather? Etc. The type of cushion you want also maters is it cloth, gel, silicon etc. and is it replicable? All these put together, determines the most suitable or best CPAP mask for you. To answer all these questions, kindly go through our descriptions of the three major types of CPAP masks. This is my second ComfortGel mask. The comfort can’t be beat; however, the tabs on the side that allow for a quick in and out, can. The bracket for these quick tabs (part of the mask itself) broke on the last ComfortGel mask I had within 90 days. After gluing and taping these brackets multiple times, I changed to a different mask that didn’t have the tabs, and it was not anywhere near the ComfortGel comfort. I came back to the ComfortGel and will just find a way to deal with the design flaw of the plastic bracket. I don’t have marks on my face with this mask, nor do I have the breakouts around my nose as I have with other masks. And as I’ve said, the comfort just can’t be beat. I’ve had nothing but problems with this mask. the head band fits nicely, but the mask won’t seat well, either too loose and seal breaks at every minor facial movement, or too tight and causes pinching of skin, irritating skin. I do like the reinforced connection points, but the blue comfortgel does not seem as good as the previous model I used. I jumped right on this mask because it was styled similarly to my standard Opus 360 but looked to have a lighter, softer head and face gear. I’ve worked with it the last three nights and I have to say that it seems they have a great idea but are not there yet. The headgear is indeed very light and, when you install the strap covers that nicely come in the package, is quite comfortable against the face and leaves no strap marks. Unfortunately, the design of the nasal cushion itself is flawed and, despite lots of fiddling, the cushions never did seat comfortably against my nostrils. I think part of the problem was that the cushion is positioned kind of flat against the lip and causes pressure that is uncomfortable. This was also the case in the earlier Opus design and FP solved the problem by elevating the nasal cushions a bit and angling the interface away from the lip. This problem was annoying enough to wake me up to readjust the mask many times so tonight I will go back to the Opus. Oh, and by the way, a note to the manufacturer – those cushions smell really BAD when you first get them. Took me a couple of extra washings and some aromatherapy to get by the plastic smell. I have tried this on and found it too tight. I’m thinking that I will wake up with nostrils like a hippopotamus. The problem is my oversized head (7 and 5/8″) combined with the fact that the headgear, while made of stretchable fabric, CANNOT BE ADJUSTED. I am disappointed, and rather amazed, that the manufacturer would sell this without the usual Velcro adjustments (saving a couple of cents?). I was drawn to this unit because of the exhalation port design, which diffuses the air stream. I will give it a fair overnight trial and update this review. If I like it well enough, I might sew in a piece of fabric to relieve the tension. But for now, those of us with large heads should be aware that the headgear could be too tight. This is the best mask I have used. I have bought only this for the last three years. Very comfortable. I can roll around at night and this does not fall off. I would only change if they came out with a new and improved mask. I’ve used 6 styles of masks over the years and never expected to give a mask a 5 rating. After using the DreamWare one week it is definitely my all-time favorite. The last 1 ½ years I used the highly rated Swift FX for Her Nasal Pillow Mask, but no matter how much I tried to accommodate her, me and that mask never did get along well. DreamWare’s “how-could-that-possibly-work?” nasal cushion does indeed work wonderfully well for me. The measuring template in the package made it very easy to select the right size (small) for my nose. I had annoying leaks sleeping on my side the first few nights, but adjusted the strap to fit a bit lower on the back of my head and did fine the next two nights. The cushion is SO much more comfortable than nasal buds. And the mask leaves no marks on my face. The only negative so far is the air venting straight out from the cushion; my husband complained about that, so I suppose that means no more sleeping on that side unless I’m mad at him. Thank you Phillips Respironics. 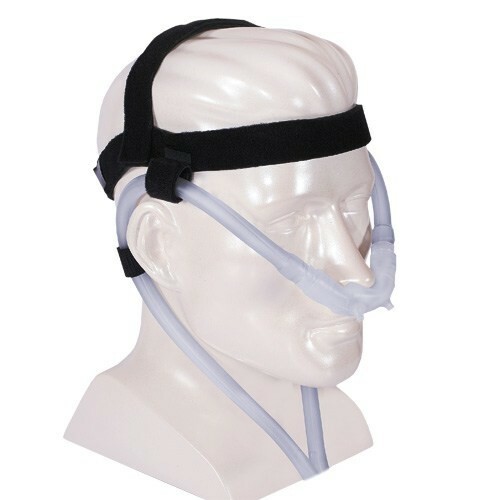 Nasal Aire II Prong CPAP Mask with Headgear is considered as one of the best CPAP Mask devices that are designed for patients who need therapy of positive ventilation. The sleek design the mask has, allows the user a total freedom to speak, to drink and eat, and also to wear eyeglasses while wearing the mask, without removing it. When the user wears the device, the under nose reservoir is positioned across the user’s upper lip. The tubing drapes easily over the user’s ears in the manner of the standard nasal cannula, and it stabilizes the under nose reservoir. The discomfort does not exist. The advantages of this mask are easy to notice. The mask can be worn for a longer duration without any discomfort, because, it is not friendly with the discomfort. There is no any uncomfortable pressure on the face. Users are honored of sleeping in a different position, because the mask stands in its place. Also, it does not chill the nose, and it virtually leak free. 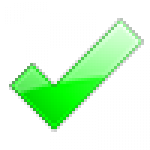 It is very ease to displace and for clean using SoClean. The hard putting on face is considered as disadvantage of this mask, as reviewed by the users who have experienced it. RespCare Hybrid Full Face CPAP Mask with Nasal Pillows and Headgear presents the collection of masks using the fusion technology, which is designed and considered as the Best CPAP Mask, that has a universal interface. 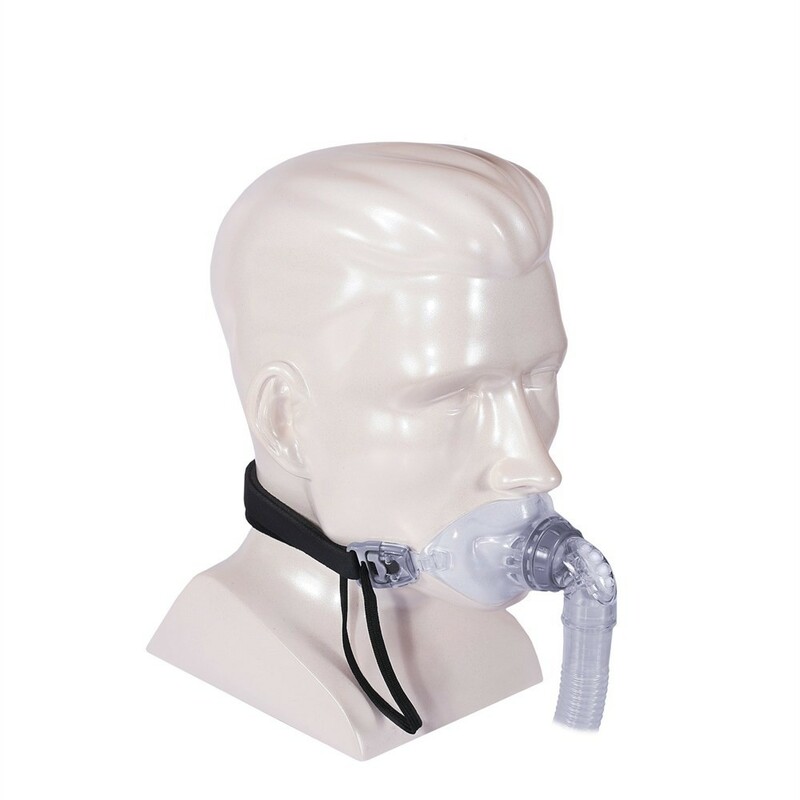 The Hybrid consists of dual airway interface that uses the positive pressure ventilation devices in order to establish the treatment of respiratory insufficiency. The main benefits the user has from come from the Universal Design that includes all the best features of the nasal pillow mask and the traditional full face mask. It offers all the sizes and a variety of combinations for easy fitting. the design also provides great comfort, and does not allow louder sounds. It is ideal for mouth breathing-users. No chin-strap is required, too, because it is built-in. Users can wear glasses easily while wearing the mask. All sizes are available. Adjustability is one of the main features too. It provides an increased support and a better seal. The strap buckles contribute the user to take off the mask easy, with no complications, and to re-apply it easy again. Users can find tutorial videos in which a model shows them how to try multiple combinations of fitting the mask. At one point, users must be very skillful to hit the perfect combination for them. 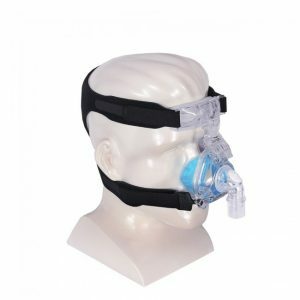 The ResMed Mirage Liberty™ Full Face CPAP Mask with Nasal Pillows With Headgear is rated as one of the Best CPAP Masks that gives an unrestricted vision field, a clear vision field. It is just another great alternative that may restrict the full face mask. It features with lightweight design, it does not make loud sounds, and what’s most delighting for the users is that this mask does not use any forehead support or a nasal bridge. What most satisfies the users is the reliably seal, the possibility to wear reading glasses with no making fog absolutely, and the commonness of this mask, that offers a rich comfort. On the other hand, some users that have already experienced the mask said that using this mask, they often get reined during the night, which is a good reason for them to wake up a few times at night. The Oracle HC452 Oral CPAP Mask presents the collection of masks that deliver the CPAP therapy through the mouth only. 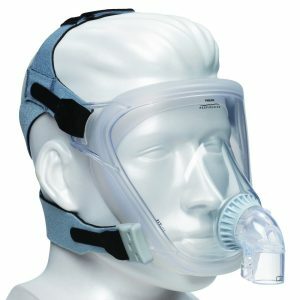 It is a unique mask, that feature with diffused exhalation, a single strap headgear, and an adjustment dial. This well developed oral mask delivers air pressure through a mouthpiece. It is clinically proven that treats the OSA. The best working combination is made of the mouth place and an outside flap, which keeps the device in the mouth to stay stable. The best features of Fisher and Paykel Oracle HC452 Oral CPAP Mask are: the Bias diffuser that allows exhalation to be done within the small holes that vent the air. It also uses a filter which helps in reducing noise. Not just one, but 5 filters come together with the mask. Then, the rotating adjustment dial is here to adjust the space between the SnapFlap Cover and SoftSeal mouthpiece, which absolutely increases the stability and he comfort while the user wears the mask. The single strap which keeps the Oracle stable, is one of the features too. The headgear is totally latex free, it does not move, and additional adjustments are not needed. as the users, there is one disadvantage of this mask- it dries out the mouth even when the humidifier built into the CPAP machine. 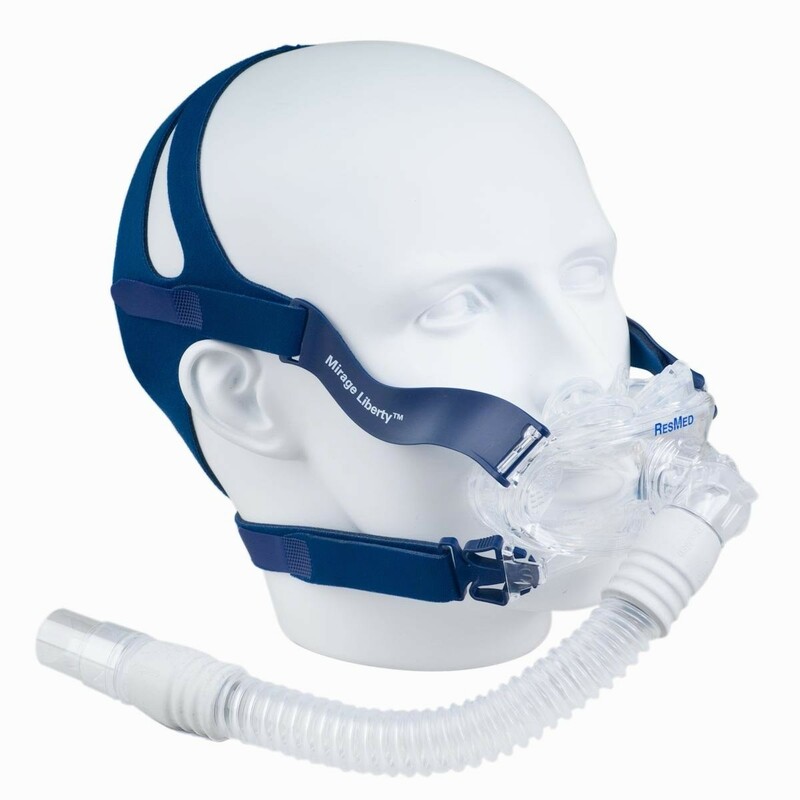 The FitLife Total Face CPAP Mask with Headgear is a type of mask that covers the entire face, as the eyes too. It is commoner to use for the users who have not found their advanced mask, or are intolerant to other masks. 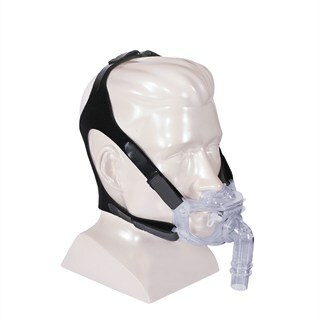 That’s the main reason why this mask takes place among the Best CPAP Full Face Masks. This mask is available in three sizes: Small, Large and Extra Large. This mask is a good alternative for users that are choosing between more masks, and do not know which one to choose. When it comes to the features of this mask, there is the seal that wraps around the outer of the user’s face. This movement allows the silicone cushion a quick fitting on the user’s face. Then, here is the soft air pressure system. It is also flexible and minimizes the leaking. It provides optimal airflow through the nasal passages. The headgear supports the mask. It stabilizes it too. Users can choose between the color of the headgear. This type of mask has not some special disadvantages, except that it involves the ears too, and it is hard to put glasses on. For some, the idea of CPAP therapy to treat sleep apnea or snoring is welcomed. After years of poor sleep, exhaustion, complain from partner a night using CPAP machine would seem like a magical night. For others, adjusting to CPAP therapy may be a long journey of patience and determination. 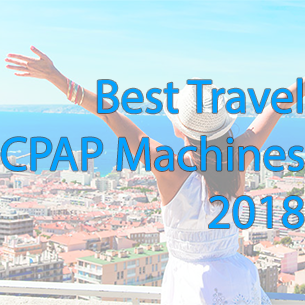 Though the type of CPAP machine is important with its features such as humidifiers, its delivery system, the mask, tubing and headgear all these features, are very essential for the success of CPAP therapy. Choosing the right mask for your individual needs, may not be that difficult regardless of the fact that there are many different types it is all about understanding them all or the three major types. There are no magic mask that suits every individual so it is crucial to understand the types of mask by reading several of them to understand the one that would make a patient feel the most comfortable, meets your personal breathing need and sleeping habit. This mask is among the most used type of masks used, due to its simple design. Nasal Pillow masks, are one of the smallest of CPAP masks. It works by resting on the users upper lips and then blowing pressurised air gently through two soft nasal tubes that are inserted into the nostrils. They are also called nasal cushions two pillows or cushions in the mask seals to the nose to deliver pressure in a manner that is more direct than with the Nasal CPAP mask. Its light weight and small size is advised for patients suffering from cluster phobia and those users that are not comfortable with too much on their face. Nasal pillows, allow for more line of sight while been worn due to its minimal design, less obtrusive head gear and smaller overall profile. With this feature, it is possible for users to wear glasses, read or watch television before going to bed. 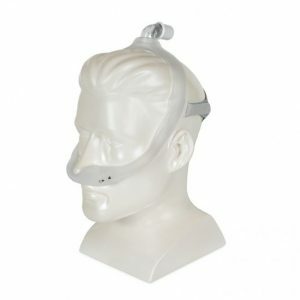 Users with facial hair may find nasal pillows more comfortable as there is no interference with the quality of the seals due to its small nature, there is no leakage due to facial hair and this is seen only in this type of CPAP mask. Users who toss and turn a lot have no problem with this type of mask. The direct airflow into the nasal passages reduces the chances of air leakage. Like nasal masks, the nasal pillow works with only users that breath with their nose. Some users, choose to use an accessory call a chin support which helps keep their jaw from dropping as they sleep to reduce the chances of oral breathing. Some users may experience nose bleeds, nasal dryness, nasal itches and stuffy nose. When the user, requires higher airflow pressure, the very direct airflow makes it very uncomfortable and difficult. This masks are triangular in shape and its designed, to fit just on the nose, covering areas from the bridge of the nose to the upper lip. It is held in place by a strap around the head. Nasal masks, come in many different shapes and sizes which makes them a common and popular choice among CPAP users. There is almost always a type of Nasal mask that fits any CPAP user. Nasal masks, are much lighter in weight compared full face mask and its small design, does not make users feel claustrophobic. the nasal mask functions as the pressurised air from the CAPA machine flows through a tube into it. It is designed in a manner that the pressurised air can only be inhaled through the nose. The pressurised air is delivered less directly in this type of mask type and allows for a sense of comfort for the user by making them feel as if they are breathing regular air. 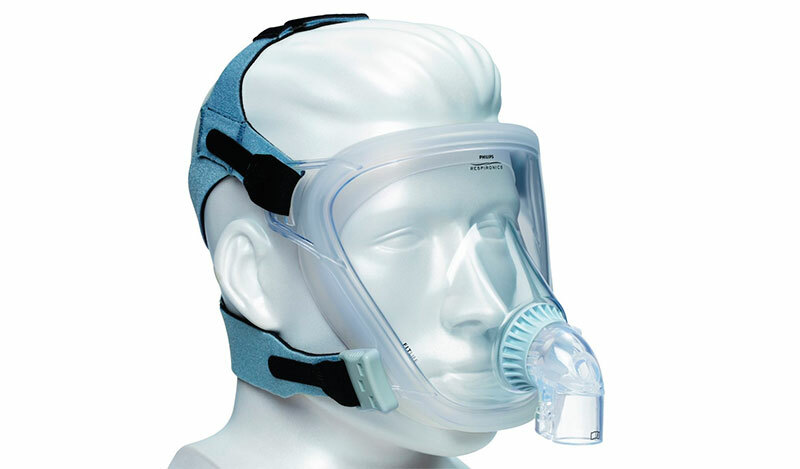 The use of Nasal mask is advised for high CPAP pressure airflow settings for users who breathe with their nose. Due to its simple and small design, it does not make users feel claustrophobic. 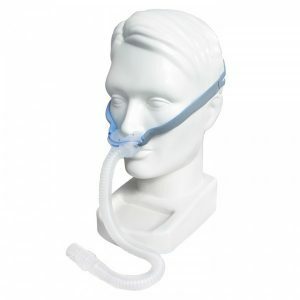 It does not support oral breathing and cannot be used for CPAP users who are oral breathers except if they choose an accessory such as chin strap to prevent their jaw from dropping. Some CPAP users complain of irritations caused by the pressure of the mask resting on the bridge of their nose. It is not recommended for patients who experience difficulties breathing through the nose due to medical conditions such as enlarged turbinate, a collapse or narrowed nasal valve. People with nasal or sinus problems such as head cold or allergies may find the nasal CPAP, uncomfortable. This is the largest form of CPAP masks currently used. It is sometimes, referred to as the “Oranasal” mask. The full mask, shares a similarity with the nasal mask in terms of design (shape). They are both triangular but what differentiates them is that the full face mask covers both the nose and the mouth. It is also held in place around the head, by head strap very similar to the ones used for nasal masks. 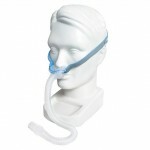 It is designed to direct pressurised air to both the nose and mouth of CPAP users. It very helpful for mouth breathers as it is the only type of mask that supports both oral and nasal breathing. It provides excellent performance for users with high airflow CPAP setting, with its wider surface area; it disperses the pressurised air in the mask giving the user a great deal of comfort. It works well for supine sleepers (people who sleep on their backs). It may be less comfortable for some users due to its added weight and material. 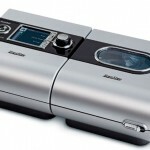 Some CPAP users find it difficult to use when they try to sleep on their stomach. It is a problem for those who love to watch TV, read or put on glasses while in bed. If not fitted properly, air may escape from the mask, usually at the top and leak to the eye causing irritations and dryness to the eyes. It has greater probability of leaking due to greater contact area with the skin also, if users have facial hair on the neck and jaw area of the face. It is a big issue for claustrophobic users because it is difficult for them to tolerate the extra material needed to cover both the nose and mouth. The weight may also have a role to play in this. It’s nice to see a comparison like this as it makes it easier (at least for me) to pick out the the best cpap mask for my personal needs. Still haven’t made up my mind but I’m getting there. Thanks for putting this together! I have decided to try the ComfortGel Blue based on your suggestions. There are other cpap masks that look interesting but it looks like this one might be the best. Will test it out and see for myself. Hope it’s great! ComfortGel Blue is the best one from this list. I’ve had the “privilege” to try all 5 of them and I can tell you that you won’t go wrong with it. It’s the most comfortable, it will sit nicely on your face and it will do its thing without any issues. Thanks for this guide . 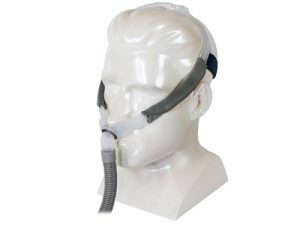 Are CPAP masks from brand / manufacturer “X” interchangeable with brand / manufacturer “Y” , thereby making it possible to use an “X” mask with a “Y” machine ? Are there connection adapters available if they are not interchangeable. Read some reviews and then I got the ComfortGel Blue nasal CPAP mask with headgear and I like it. You can’t beat the level of quality this has for the price tag. No marks on my face and I sleep peacefully so it’s quite nice. After trying the Swift FX and finding it so and so, I opted for the Simplus full face mask and found it much better for me. It is more comfortable and it is overall better made than the FX one.